Dear Chavi: Summer Frizz... HELP!!! Question: What kind of curling iron should I use? 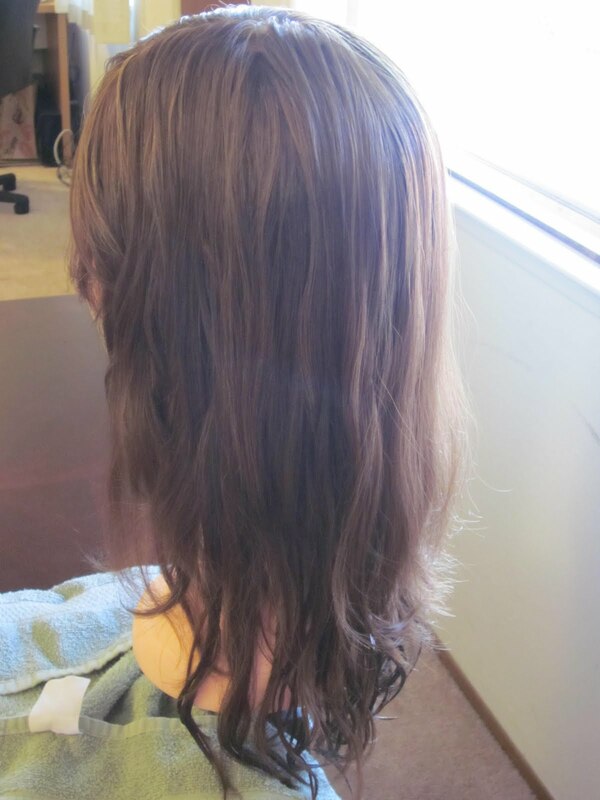 I interviewed my friend to find out more about her custom Allegria wig. Her shaitel is a medium brown color. My questions will be bold, her answers in black, and my comments in purple. The cap is too small on me. They charged me $200 (!) to get an XL cap, which was a bit of a ripoff. I happen to have a massive head and a ton of hair, but they did measure my head before ordering the cap for me and I always felt like the cap was still too small. This causes two problems for me. Number one, it gives me really bad headaches when worn for a long time. Number two, the wig always slips back on my head so a little bit of my hairline actually shows. I wonder if they actually checked the measurements of an XL cap and whether your head is bigger than XL or if they made a mistake when placing the order. Almost never. It's really stunning hair. It sometimes knots a bit behind my neck, but not enough to really be an issue, and overall the hair is really smooth and natural feeling. Ya the skin top is okay, I've seen better, but it's pretty realistic. Have you ever washed it yourself? If so, what was the hair like when wet? Did it knot? I've washed the sheitel myself many times and it dries really nicely. It dries straight, not curly and is really easy to blow dry. Sounds like it really is very high quality hair. What kind of hair was advertised to you? Do you feel it was worth the price you paid? When I bought my sheitel, they talked to me a lot about how good the quality of their hair is and how the hair is treated minimally so it's as natural as possible. I really felt like it was quality hair and I got my money's worth. Based on my research, I think you are right about this one. Sounds like you got amazing hair. Was the wig custom or pre-made? I'm a complete ignoramus when it comes to sheitels, but I'm pretty sure it was custom made. I chose out the color, length, and size and waited a few weeks till it came in. Did you order it from Allegria directly or a sheitel macher? Did Allegria succeed in making the wig the way you ordered it? I was pretty happy with it. If not, what would you have wanted to be done differently? I wasn't so happy with the color. 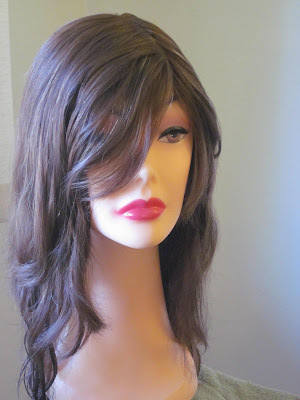 I had been warned that Allegria often has too much red in their sheitels and I felt that was the case with my sheitel. My sister also has an Allegria and had a similar issue. Her sheitel looks great, but it has a reddish tint (not from oxidization, it's always been that way) and she has absolutely no red in her real hair color! They do a good job of blending the different colors in the sheitel, but for some reason I often see that Allegria sheitels have random redness to them, and on people that naturally have no red in their hair. This is before the sheitel even oxidizes in the sun, and the "red issue" seems to just get worse as the sheitel gets older. Reddish browns are not rare, unfortunately. Maybe the hair they have access to is redder than your natural hair. Its possible that your hair is ash toned and they use warm-toned hair. I think there is a smaller supply of ashy brown hair available in the world. The sheitel was $1900 but she charged me $2100 to get an XL cap, which I felt was a complete ripoff. But overall the price matched the value of the sheitel. How long did it take to be ready? It took about 6 weeks for the sheitel to come in, but that's pretty standard in far away out of town unheard of places like Toronto, because the sheitel was sent in from NY. How was the Allegria customer service? The customer service was okay, not great. They're not so professional, but the woman who runs the store really seems to know her stuff when it comes to sheitels and I felt like I trusted her opinion and expertise. Would you order from them again? Their stylist really was not very good, I wasn't so happy with how she cut the sheitel. She really didn't know what she was doing. When I paid for the shaitel, a haircut was included, and I felt a little cheated that they didn't even have a decent stylist to cut it for me. When I bought the sheitel they almost encouraged me to get it cut elsewhere, so it seems like they're aware that she's not great. I don't think it's fair to be charged an extra $200 to get an XL cap. XL is not such a crazy size, and besides, it's a CUSTOM sheitel, which means custom made to fit my hair color, length, and yes, size of my head. I am certain it does not cost the manufacturer $200 to make a cap an inch larger. On top of that, the XL cap did not even fit my head properly and I still get headaches from wearing my sheitel. The reddish streaks in the sheitel bother me a little, because it makes it look less natural for me. I just bought one for my wife. The shaitel came full of nits. When I called them, the woman in Toronto said its not her problem. I'm really disappointed that a $1900 shaitel doesn't come ready to wear. I bought my sheitel on ebay from Isadore of Featherlite Canada and it arrived in the UK within 4 days. I had communicated with her about the colour etc and she was spot on with it. 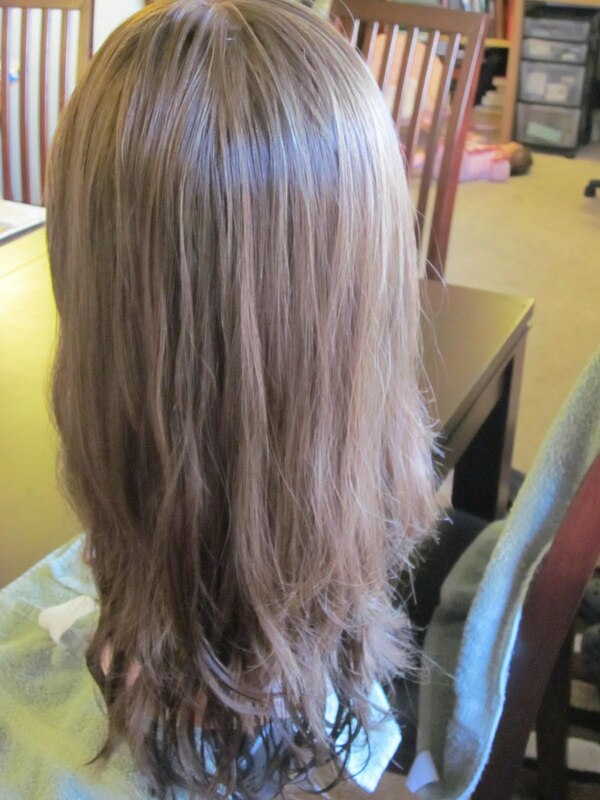 Gosh what a beautiful wig....soft, shiny virgin hair. Later I decided to get another and phoned her with my specific requirements and within a day she produced a sheitel that is out of this world. She sent a lot of photos and gave me good advice. It cost a lot but then I knew it would because of the fineness of the hair that I needed. She has never disappointed.